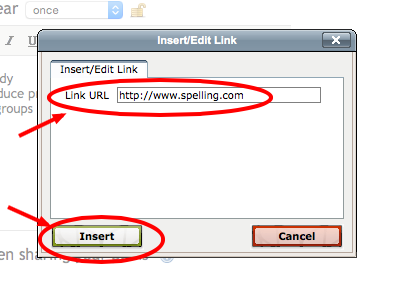 To enter and activate a web link in your plans, click "Edit" in your lesson box. Type the text you want to be the link and highlight it. The hyperlink icon (which looks like a chain link) becomes active. Click this icon and type the web address you want to link to and then select "insert".